Humans are living in a sea of electromagnetic radiofrequencies, some of which are not recognized for the health harms they cause. The very agency that should be at the forefront of setting safety standards, the World Health Organization Working Group on the Evaluation of Health Effects from Radiofrequency (RF) Radiation, is totally remiss in setting standards. That industry-run Working Group sets the thermal standards for Specific Absorption Rates (SARs) and other parameters regarding microwave technologies and safe human exposures. However, the Working Group is riddled with microwave industry representatives who deliberately prevent non-thermal radiation wave adverse effects from being formally recognized. That includes not setting safety standards regarding output from microwave technology-operated gadgets and appliances, e.g., AMI Smart Meters and home appliances, which emit non-thermal radiation causing adverse health effects, i.e., electromagnetic hypersensitivity (EHS) or as physicians call it “Idiopathy Environmental Intolerance” (IEI), which affects 26% of the USA population; 19% of the Swedish population; 27% of the Danish population; and 32% of the German population. See Gibson, Pamela. Ecopsychology, Vol. 8, No. 2, June 2016. The World Health Organization working group is meeting in 2017 to re-assess the evaluation of health effects from radiofrequency radiation; however, it no longer should deny the existence of non-thermal radiation waves and their effects, which the microwave industry giant ICNIRP refuses to accept as valid science despite industry-sponsored research finding 32% non-thermal adverse effects. Therefore, I’d like to encourage everyone, after reading my email to the Director of Public Health and Environment at the WHO, to send your personal email to Dr Marie Neira [email protected] telling her you know about conflicts of interest; the scientific shenanigans that go on with ICNIRP not recognizing non-thermal radiation wave adverse health effects; and that has to be corrected during the 2017 evaluation to include non-thermal radiation adverse health effects and to set safety standards for them. That’s the only hope of getting non-thermal radiation adverse health effects recognized and dealt with appropriately, since more and more people—especially children on the Autism Spectrum—are negatively affected by all the ‘smart’ microwave technology gadgets and appliances. Please take particular notice of what is said about ICNIRP’s conflict of interest and other ethical issues regarding the evaluation of radiofrequency radiation health effects by the WHO’s Working Group. Please accept these comments from an independent consumer health researcher who has been investigating the adverse health effects, plus the geopolitics and ‘politics’ of EMF/RFs/ELFs for several years. What I have found is most disturbing insofar as there is an unbalanced evaluation of EMFs/RFs/ELFs by the microwave industry representation’s apparent and deliberate double standard of not reporting current and/or independent science to the World Health Organization regarding the outdated need for better protection standards to be set by the WHO regarding non-thermal radiation wave adverse health effects, which independent scientific studies confirm in 70 percent of their research. Question: Why is it the industry-sponsored research findings of 32% non-thermal adverse effects are not considered and included in ICNIRPS’ apparently falsified research data? That’s illegal collusion by a vested-interest party—is it not? That’s almost one-third of industry-sponsored studies they negate as non-existent! That’s professional criminal activity, I offer, which needs to be corrected immediately, if not sooner, as the WHO is being detrimental in exercising its due diligence to the world’s populations. I am the science researcher for an ad hoc committee of citizens, Pennsylvania Smart Meter Awareness (PASMA) in the Commonwealth of Pennsylvania, United States of America, who respectfully wishes to give input regarding the WHO’s working group members; what needs to have light shined upon it; sorted out; and corrected during the current 2017 evaluation process. Personally, I represented myself pro se before the Pennsylvania Public Utility Commission regarding the formal complaint for refusing an AMI Smart Meter due to being a six-year breast cancer survivor, but knowing the facts about EMF/RF/ELF non-thermal radiation wave adverse health effects, I do not want a smart meter on my electric service. Below, I insert Paragraphs 101 to 119 from the original Brief I filed pro se January 25, 2017, which are self-explanatory and tell the unsavory story of the unfortunate ethics problems and other allegations surrounding members of the WHO’s working group—past and or present—on the evaluation of health effects from radiofrequency radiation. [Partial] PECO and its experts presented and quoted NCRP and ICNIRP, industrial professional societies, EMF/RF views during testimony as scientific fact. In scientific reality, those organizations data are being challenged with conflicts of interest and making misleading statements in published papers. Those organizations scientific accuracy is questioned. Frompovich now brings ICNIRP to the attention of this Honorable Court and the PA PUC. It would seem Dr. Israel’s quotation from the UKHPA 2012 report came from information generated and disseminated by AGNIR, the very advisory group implicated in “incorrect and misleading statements” within its 2016 report. “No evidence” was something PECO medical expert Dr. Mark A. Israel stated several times in his testimony regarding science research on EMFs, non-thermal adverse effects and cancer. The above is specific scientific evidence about Frompovich’s health concerns about being exposed to PECO’s FlexNet AMI Smart Meter EMFs/RFs, as she is a breast cancer survivor. ICNIRP has stated its members are independent of vested, commercial interests. However, several ICNIRP members, e.g., Dr. Alexander Lerchl, have been accused of conflicts of interests, the most famous being Anders Ahlborn, Professor of Epidemiology at the Karolinska Institute and former consultant to the tobacco industry. Professor Ahlborn was forced to resign as a member of the WHO’s IARC working group on radiofrequencies. Ahlborn was ‘outed’ that he was the director of the consulting firm Gunnar Ahlborn AB, founded by his brother. That consulting firm served telecom businesses and industry. The above paragraph independently supports PECO medical expert witness Dr. Israel’s statements during testimony regarding evidence and conclusions, as to no scientific evidence, apparently due to scientific mischief, which Starkey’s exposé indicates. Again, that is another reiteration as to how no scientific evidence is found and which PECO, its attorneys and medical expert rely upon as factual. “The involvement of ICNIRP scientists in the misleading report calls into question the basis and validity of the international exposure guidelines. To protect public health, we need accurate official assessments of whether there are adverse effects of RF signals below current international ICNIRP guidelines, independent of the group who set the guidelines. The above-cited paper has 99 References, some of which were included to show corrupted science articles which appear in the scientific literature. Frompovich includes that 11-page report in this Brief as Brief Exhibit No. 3 Inaccurate official assessment of radiofrequency safety by the Advisory group on Non-ionising Radiation. The above brings to mind three current headline consumer safety issues related to misinformation and/or fraudulent information perpetrated upon unknowing consumers. 1) The Takata air bag defect initially emerged in 2001 when Isuzu recalled vehicles with airbag problems. Now the Takata air bag problem affects 69 million recalled cars. Takata’s fine: $1 Billion with extradition of three Japanese Takata corporate officers to the USA for prosecution. 2) Volkswagen and Fiat-Chrysler auto emissions pollution software systems were set to deactivate emissions during USA emissions testing and give false emission readings indicating vehicles passed the test or were within legal limits. Probable fines: $20 Billion. 3) Marine Corps Base Camp Lejeune potable water contamination from August 1, 1953 to December 31, 1987 has harmed hundreds of thousands of veterans and their families from being exposed to toxins in household drinking water the base supplied. That tainted/poisoned water can cause 8 diseases: Adult leukemia, aplastic anemia, bladder cancer, kidney cancer, liver cancer, multiple myeloma, non-Hodgkin’s lymphoma and Parkinson’s disease. The United States will pay $2.2 Billion in disability compensations. An estimated 900,000 service members potentially were exposed to the tainted water. What will happen to consumers when microwave radiation EMFs/RFs/ELFs finally are recognized for the health problems they are contributing to from non-thermal radiation emissions/exposures, since the science is there documenting them (32% confirming industry studies), but they still are being denied by vested interests. Further indication of the conflicts of interest and ICNIRP’s questionable EMF/RF science were addressed in the paper “Radiofrequency/Microwave Radiation and the International Agency for Research on Cancer (IARC), The problem of conflict of interest & commercial influence in WHO agencies and the need for public interest representation,” specifically on pages 14 and 15 under “ICNIRP increases its ELF EMF guideline exposure limits and ignores science”. PECO’s experts citing ICNIRP’s data as valid science must be questioned as to validity and industry conflicts of interest. 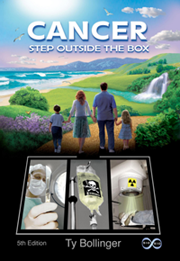 Utility customers with medical conditions, including those who are electromagnetically sensitive, medically known as IEI or EHS, and those covered under the three prongs of the ADAAA are impacted negatively by omissions, conflicts of interest and other scientific mischief regarding microwave EMF/RF/ELF non-ionizing radiation non-thermal health effects promulgated by industrial professional societies. When scientific mischief occurs in EMF/RF/ELF science through misrepresentations, omissions, inaccurate statements and conflicts of interest, it results in causing suffering for electromagnetically sensitive individuals and health concerns like those of Frompovich, a breast cancer survivor, who has been tracking microwave industry science literature. However, more than anything, conflict of interest and misrepresentations of science validate the necessity for the PA PUC and the Pennsylvania Legislature to become current on EMF/RF/ELF science, non-thermal radiation and its adverse health effects regarding cancers and other diseases/conditions in order to comply with transparency issues, correct the problems, and provide safe, affordable electricity to Pennsylvania consumers. 119. Frompovich points out vested-interest microwave and AMI Smart Meter science is following the same singular course the tobacco industry took to protect its interests and marketability in denying cancer’s association with tobacco use. Naval Medical Research Institute, National Naval Medical Center, Bethesda, Maryland 20014, U.S.A.
Dr Neira, please know that I have published this email to you as an “Open Letter” at ActivistPost.com and NaturalBlaze.com. I look forward to hearing from you as to what will be done to correct the apparent unethical and illegal collusions that go on during evaluations of EMFs and their effects on human health. Thank you very much for reading my letter and your kind cooperation to help humans become protected from EMF/RF/ELF non-thermal radiation wave adverse effects. 5 Comments on "An Open Letter to World Health Organization’s EMF Project Requesting Non-thermal Radiation Adverse Health Effects Be Recognized and Conflicts of Interest Purged from the Evaluation Working Group"
My body is increasingly reacting to chronic chemtrails and electromagnetic radio frequencies in California …. feels like death. You should try to do some detoxing…even just a clay/epsom salt bath or something. It’s going to be a bentonite clay detox night…. Thanks for reminding me. I have no doubt the industry wishes us to fry at some point. Like microwaved potatoes, which I seldom do. I will be sending Dr Marie Neira her an email, of course. I would like to simply add your name, and some cut a pastes so she will get the gist. Will this be okay? Bless you Catherine and all that bring awareness.